Are you aware there are varmints lurking in your writing? Even worse, you may have made these pests into pets. Pets you love and adore. But as a writer, you must call in critter control to trap those little guys. You may be asking, “Where are these vermin? How can I find them and delete them from my manuscript?” Ah. It’s tough, but it can be done. The critters I’m talking about are the pet words and phrases we use redundantly, repetitiously, over and over again. These darling creatures are such a part of us, we don’t even notice they’re loitering in our manuscripts. That’s because our pet phrases permanently nest in our conversations; they make up our normal everyday writing vocabulary. Our beloved pet words and phrases even find expression through our characters. Yep. These pets have to go. You can keep a few, but savvy readers will notice if you use the same phrase or word too many times, flagging your writing as amateurish. And bad. And weak. Time to euthanize those little buggers. The problem is, these varmints often hide from our conscious minds. Yet, there are several ways to find them. You might be able to identify some of these pesky pets yourself. Do a search for the most commonly overused words and hit the delete or thesaurus key. The first pet I had to send on its way was my cute little furry kitten called “just.” I just loved to use just in my sentences because it just seemed to emphasis what I was saying so much more. I was just getting started on this writing journey and was just so excited about pouring thoughts and ideas onto the page that I just overused the word to a point that it just annoyed even me. Of course, I had read that “just” was a commonly overused word. I still use it once in a while/sometimes/occasionally, but now, after a manuscript is complete, I go on a search mission to destroy that furry creature. Another way to find these pests is to ask your critique partners to look for overused words. They’ll spot the most frequent ones pretty easily while they’re critiquing your work. In one chapter, I used the word “little” about eight times. In most instances, the word could simply be deleted. Other times, it could be changed out with a synonym. A good editor can find those insidious words that your critique partners may miss. My editor noticed I used the word “gaze” in almost every chapter. It was hard to find an alternative, but in some cases, I simply changed the action and removed the sentence altogether. Good editors are a must. They are worth their weight in gold. Love your editor well. Send him or her gifts. If you use an editing software for writers, like Scrivener, you’ll find a tab that lets you see the most frequently used words in the chapter you’re working on and in the entire document. You’ll have to scroll down to find them as the words such as “the” “a” “an” and your characters’ names will be at the top. Here’s an example of how common words can weaken your writing. 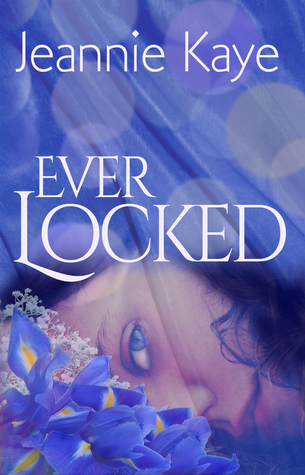 The excerpt is taken from my newly released novel, Ever Locked. You’ll see some overused words. After you read it, take a look at the corrected excerpt below it. “Neither do I.” Her voice was laden with heaviness. His heart was weighed down by it. And here’s the corrected excerpt. “Neither do I.” Her voice, laden with heaviness, weighed down his heart. As I said, gaze was a pet word in the early versions of Ever Locked. So I removed it completely from this segment in both the first and last lines. Removing the overused word “was” is always tricky and required playing around with the sentence a bit in the second line. Cutting this section to its most basic elements makes the scene more powerful. With these tools, you can tighten up your writing, saying, “Adios, amigos!” to your favorite pets that skulk about trying to mar an otherwise beautiful work of art. Jeannie is a Certified Life Coach, public speaker, and prolific writer. After writing her first book at the age of ten, she illustrated it, stitched it together, glued a hard cover on it, and read it to anyone who would listen. The book centered around an anthropomorphic friendless rabbit in search of acceptance. With that, her writing career began. Well, sort of. Girl Who Reads is an Amazon advertising affiliate; a small commission is earned when purchases are made at Amazon through the above link. The beliefs, views, and opinions expressed by guests are their own and do not necessarily reflect those of Girl Who Reads. I have two recurring pests which haunt my books and have to be eradicated every time I edit. "Now" and "that" haunt me. I overuse "which" as well but I'm nearly better now. That is a big one for me as well. I usually go on a "that" hunt after the book is finished. My characters nod too much.